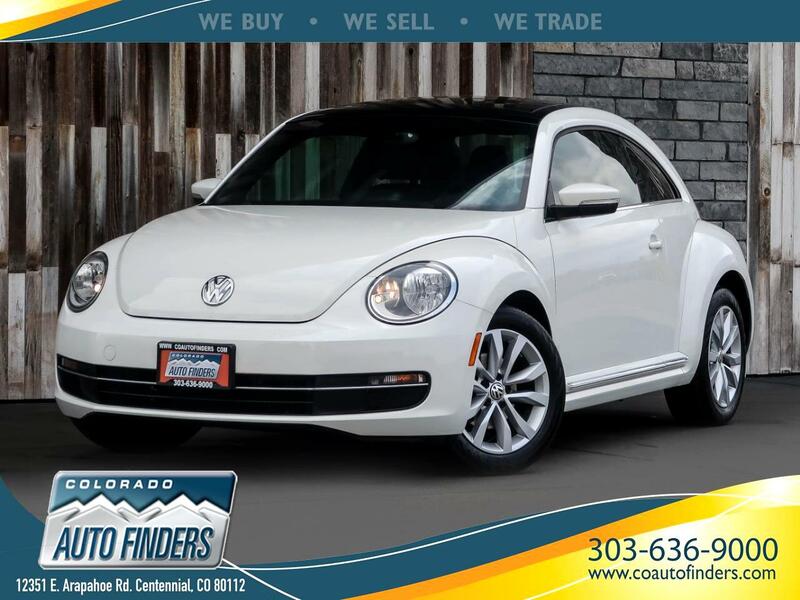 This 2013 Volkswagen Beetle TDI for sale in Centennial, CO. This Little Bug has more Personality than you'd expect from a vehicle of this size with it's Rumbly Diesel, Classic Styling, and wonderfully equipped Interior. Some features on this Beetle include Power Windows/Mirrors/Locks, Heated Seats, Heated Exterior Mirrors, Navigation, Bluetooth Phone Connectivity, Push Button Start, and 6 Speed Manual Transmission. This is also a One Owner Vehicle!